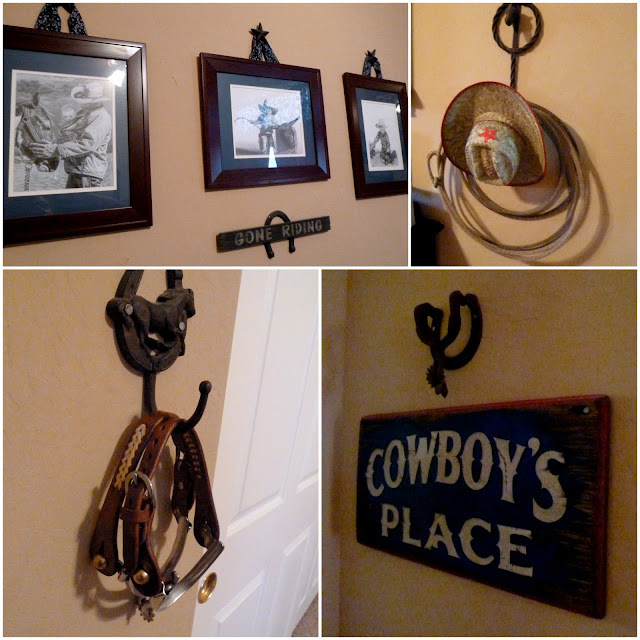 Are you ready to see the cutest cowboy room EVER?! My sweet friend Lacy just had her second baby boy and he now lives in this incredible space. Remember when I made these western applique baby gifts this summer? Well these were for baby Brock. He arrived about six weeks ago and I snapped a few pics of his pad for you when I recently went to visit and have a fun playdate. It's great that we both have two kids and have so much in common. What makes this room special are the details and love that made it all come together. Lacy's father passed away before he got to meet these sweet boys. He was a real cowboy and his spurs and some of his western things are now displayed here. 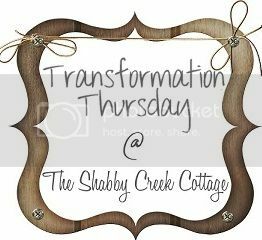 Lacy is a talented decorator and should definitely have her own blog! Her entire home looks professionally done. She also happens to have both a creative mom and mom in law. They made these curtains and bedding! Seriously, they did such an awesome job! My favorite part of this room is the border near the ceiling. They painted these star hooks from Hobby Lobby red, and then hung rope around them. The rope is nailed down. I asked how they made the tiny circles so perfect and she said they used a cup. How smart! 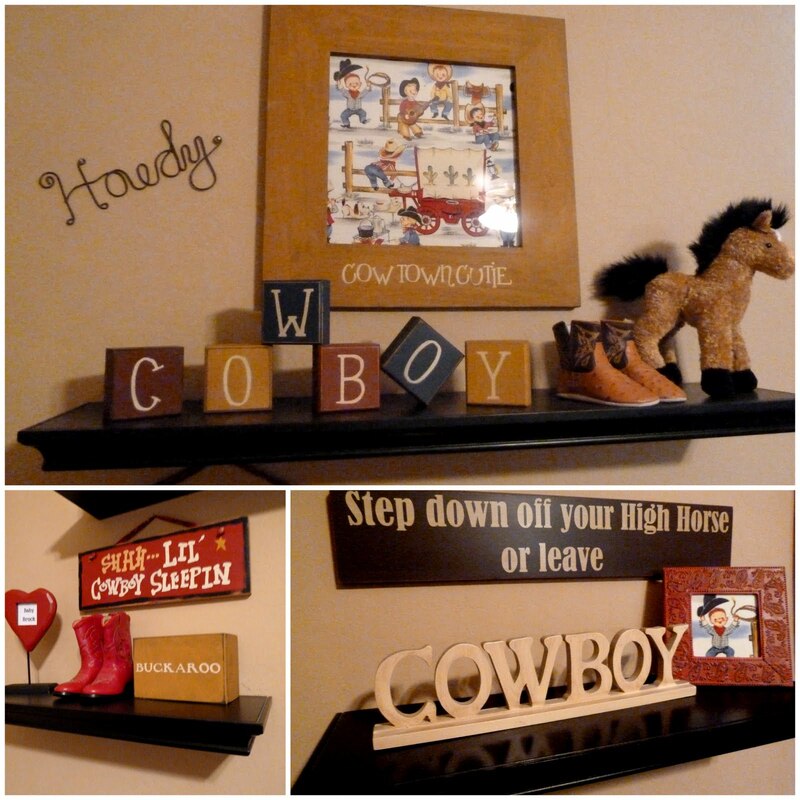 Here's some shelves with more cute cowboy details....That Howdy sign is so perfect! 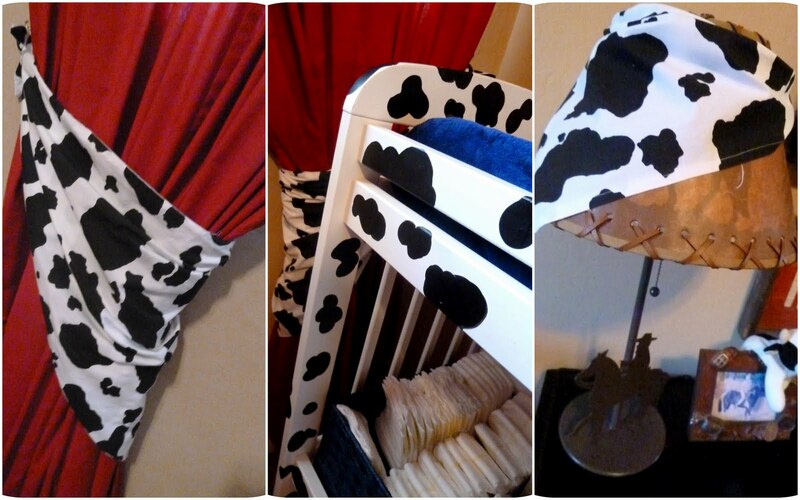 The cow prints used in here make everything so western and FUN! This was a craigslist changing table that Lacy painted herself! Every new cowboy needs some newborn boots!!! AWW he is so yummy! 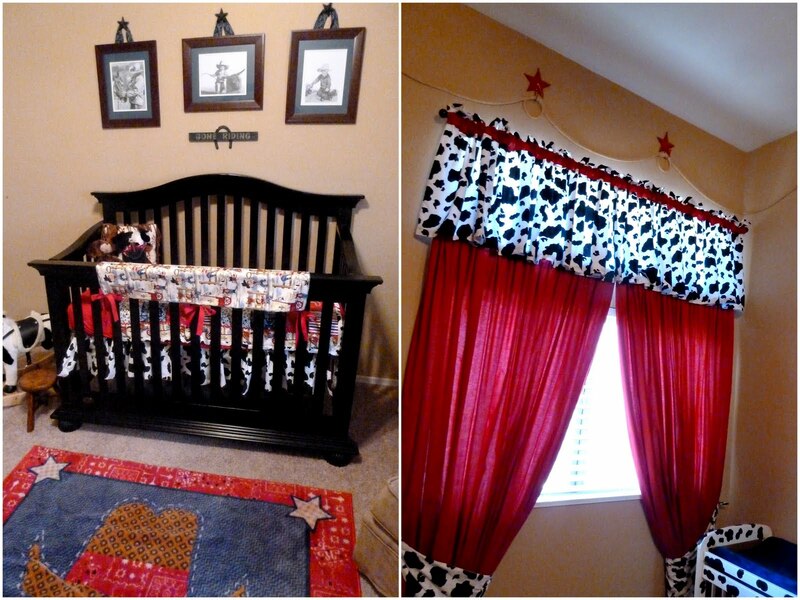 Great Nursery~ love the details! I used the exact Cowboy fabric (the retro little cowboys) for my youngest son's nursery. I LOVE IT! the bonus is he turned out to be a Woody fan! Adorable! I love all the little accent pieces and decorations. Too cute! 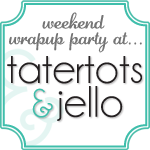 I would love for you to stop by and link up your project for Functional Friday. Love the cowboy theme! It's my favorite theme for boys... 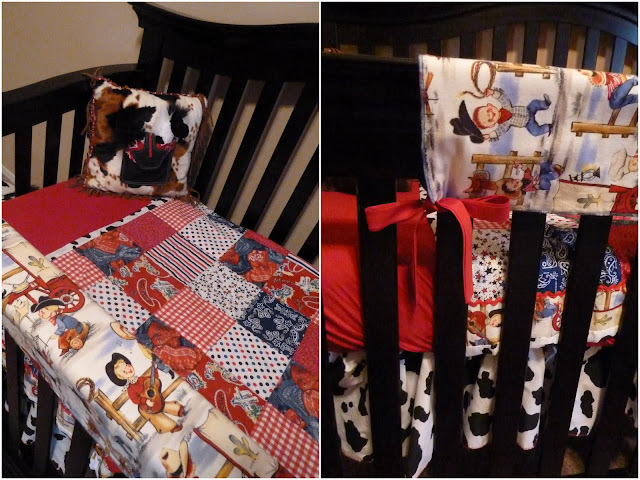 I used some of the same fabric for my son's nursery! The newborn boots are precious! I found you via Funky Junk and I'm a new follower! Great nursery for a little cowboy... I love the rope border! So, so cute! 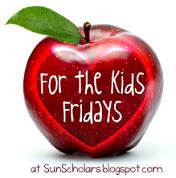 Thanks so much for sharing it at Inspiration Friday this week! Oh this brought back so many memories! My son's nursery was done in Vintage Cowboy a lot like this one! That was almost 18 years ago...sigh. Thank you for bringing back some wonderful memories and showing that a classic design never goes out of style! This is adorable!! I love the border, so creative!!! I LOVE THIS. I love all the details. It would be SO fun to grow up in this room! I love the knitted boots!! Do you know where your friend got them, or the pattern?